The Taris, Gabriel and Wenny, of Chateau de Brau, are too close to the Languedoc ground to get carried way with the romantic cliches that winemakers (and their sellers) use willy nilly. They farm in the area of Carcassonne, a town known to Irish holiday makers and rugby followers. It is not sunshine all the way: "Not all vintages are exceptional. There are the weather conditions. And the weeds that we will never overcome. And the little beasts and larger animals who demand their share." That they share with the little and larger of the local animal world gives you the clue that the work here is more in cooperation with nature than against it. The effort made in the vineyard to obtain healthy and well balanced grapes is thus optimised in the cellar for the vinification and maturing of genuine wines. And it is that effort, and no little skill, that has produced these two beauties. And more. 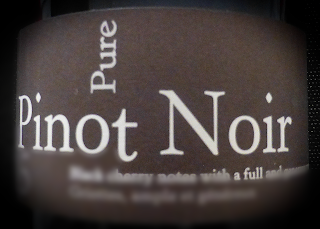 This organic wine is part of the winery’s PURE range, started in 2006. Other single varietals include Cabernet Franc, Cabernet Sauvignon, and Syrah along with Viognier, Egiodola, Petit Verdot, and Fer Servadou. Some unusual grapes there! It has a lovely ruby colour, a degree darker than usual. Aromas are more raspberry than strawberry, herbal hints too. More like cherry on the palate, a full and generous mouthfeel, tannins still in play as this approachable wine, more supple than some Pinot Noirs, moves to a long finalé. 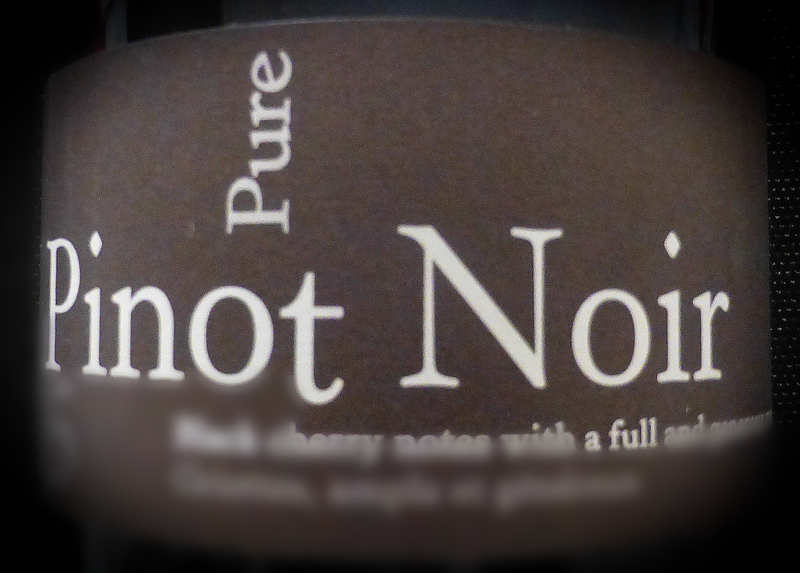 The Languedoc may not be the usual place for Pinot Noir but this is a winner all the way and Very Highly Recommended. By the way, love the brevity of the winery's summation: griottes, ample, et généreux. This lightly oaked 100% Chardonnay organic wine has a lovely bright gold colour. The aromas are of white fruit, honey and spice notes too. It is rich and round, with an almost creamy mouthfeel; there are fresh tropical fruit flavours in a beautiful elegant wine with a long dry finish. Surprisingly very good indeed and Very Highly Recommended.